Combine all that with the various flavors of each (NPN, PNP, enhancement mode, depletion mode, HEXFET, etc) and you've got a wide array of parts, many of which are capable of accomplishing the same job. Which type is best suited for which application? Transistors are used as amplifiers, digital logic switches, variable resistors, power supply switches, path isolation, and the list goes on. How do I know which type is best suited for which application? I'm sure there are cases where one is more ideally suited than another. I admit that there is some amount of subjectivity/overlap here, but I'm certain that there is a general consensus about which category of applications each of the transistor types listed (and those I left off) is best suited for? For example, BJTs are often used for analog transistor amplifiers and MOSFETs are generally used for digital switching. The main division is between BJTs and FETs, with the big difference being the former are controlled with current and the latter with voltage. If you're building small quantities of something and aren't very familiar with the various choices and how you can use the characteristics to advantage, it's probably simpler to stick mosly with MOSFETs. They tend to be more expensive than equivalent BJTs, but are conceptually easier to work with for beginners. If you get "logic level" MOSFETS, then it becomes particularly simple to drive them. You can drive a N channel low side switch directly from a microcontroller pin. IRLML2502 is a great little FET for this as long as you aren't exceeding 20V. Once you get familiar with simple FETs, it's worth it to get used to how bipolars work too. Being different, they have the own advantages and disadvantages. Having to drive them with current may seem like a hassle, but can be a advantage too. They basically look like a diode accross the B-E junction, so this never goes very high in voltage. That means you can switch 100s of Volts or more from low voltage logic circuits. Since the B-E voltage is fixed at first approximation, it allows for topologies like emitter followers. You can use a FET in source follower configuration, but generally the characteristics aren't as good. Another important difference is in full on switching behaviour. BJTs look like a fixed voltage source, usually 200mV or so at full saturation to as high as a Volt in high current cases. MOSFETs look more like a low resistance. This allows lower voltage accross the switch in most cases, which is one reason you see FETs in power switching applications so much. However, at high currents the fixed voltage of a BJT is lower than the current times the Rdson of the FET. This is especially true when the transistor has to be able to handle high voltages. BJT have generally better characteristics at high voltages, hence the existance of IGBTs. A IGBT is really a FET used to turn on a BJT, which then does the heavy lifting. There are many many more things that could be said. I've listed only a few to get things started. The real answer would be a whole book, which I don't have time for. As Olin said, this is indeed a subject that would easily take up a whole book. Also a FET can be used in the ohmic region as a voltage variable resistance. Switching is faster with MOSFETs as they do not have the charge storage that BJTs do, although the gate capacitance can take quite a lot of driving with the larger types. I think it is for this reason you often see bipolars driving MOSFET gates, to take advantage of both the low capacitance of BJT base and fast switching time of MOSFET. Not the answer you're looking for? 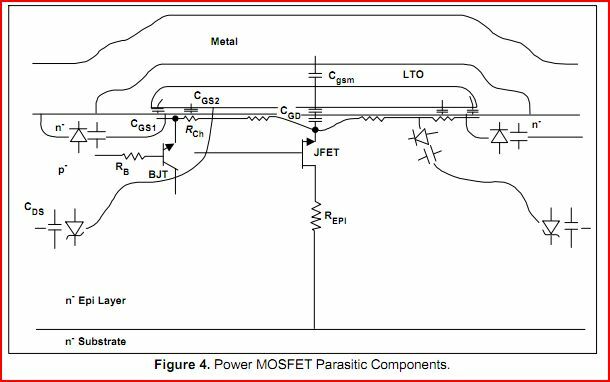 Browse other questions tagged mosfet bjt transistors or ask your own question. Which is better as a switch? What kind of transistors are prone to gate/base floatation?